In one of The UpWrite Group’s favorite announcements of 2018, the arcade version of Punch-Out!! has been released for the Nintendo Switch. Wait a second, is this a video game blog? 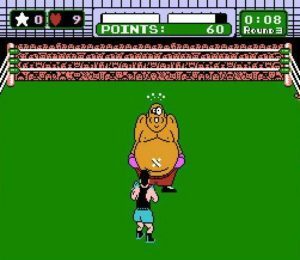 No, but we have played Punch-Out!! since we were tween millennials and are pumped about the new generation enjoying the game’s “back-in-my-day” greatness. During a recent three-round bout with Soda Popinski on the Nintendo Classic, I got to thinking. There are countless parallels between Little Mac’s journey to greatness and an entrepreneurs path to profitability. Each time Mac moves up a flight, he sits around waiting for the next promoter to call, right? Wrong! Mac and Doc can be found sprinting the streets of New Jersey with the New York City skyline in the background. Mac in his pink sweat suit. Doc cruising along on his bike. This work ethic is a must for launching and growing a business. I’ve talked to many freelancers who spent years working from 3 a.m. to 7 a.m. while they were still trying to prove their business model. Normal business hours aren’t usually enough. Find as many chunks as you can without sacrificing family time to work on projects, craft pitches for new clients, and map out your next moves. Throw on a pink sweat suit to channel your inner Mac. Do you know when and how to punch your opponents? Punching too early gets you tired. Dodging too late gets you knocked out. Waiting for Bald Bull to charge and landing a perfectly placed stomach blow? KO! The same goes for an entrepreneur. While growing your business, you’ll face numerous strikes from your competition – and not all of them will be above the belt. One of my closest friends in the business world faced relentless dirty tricks and out-of-bounds tactics from a competitor who was seemingly following his every move. As he’ll tell you now, knowing when and how to pick your battles is a skill that takes practice. One thing is for sure, these battles only make you a stronger business leader. Mac is small. All his opponents are big. He doesn’t seem to mind. One of the biggest mistakes entrepreneurs make is trying to emulate the big boys. Instead, depend on your own unique characteristics – and underdog status – to rise to the top. When Piston Hondo says he’s going to deliver a TKO from Tokyo, Mac is unphased. What’s your strategy when the big boys come after you? One of my favorite fights to follow over the years has been Harry’s vs. Gillette. Harry’s didn’t fold against the competition. Instead it rallied its customers and the media in its fight against a Goliath opponent. A lack of confidence in your business or idea means you’ll fall faster than King Hippo’s shorts. In the right dose, confidence is a killer characteristic. Too much and you lose your edge. Too little and your competition runs you out of the ring. The key for any entrepreneur is to conceptualize, test, launch, and test again – all while using insights to continuously bob and weave. Little Mac was ready for his journey to the top. Are you? 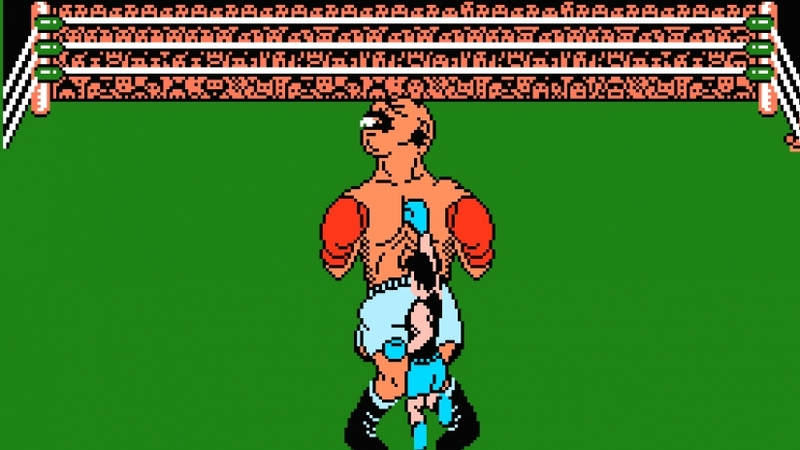 Joe Szynkowski plays Punch-Out!! standing and shirtless to retain a fighter’s mindset. 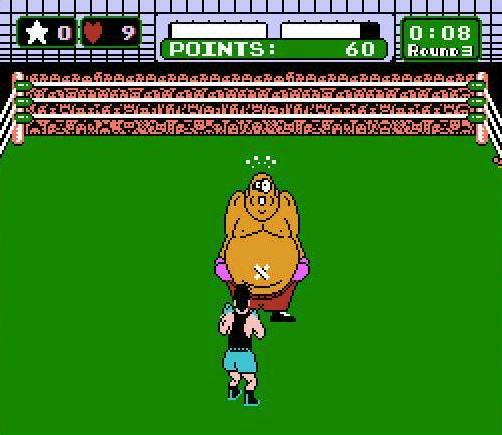 Shoot your greatest Punch-Out!! tip or cheat to joe@TheUpWriteGroup.com.